Seattle and surrounding King County are on a path to establish the country's first supervised drug consumption sites as part of a broader campaign to address heroin and prescription opioid misuse. A 99-page report released last week by the Heroin and Prescription Opiate Addiction Task Force calls for setting up at least two of the sites, one in the city and one in the suburbs, as part of a pilot project. The facilities, modeled on the Canadian government-funded InSite supervised injection site in Vancouver, just 140 miles to the north, would be places where users could legally inject their drugs while under medical supervision and be put in contact with treatment and other social services. 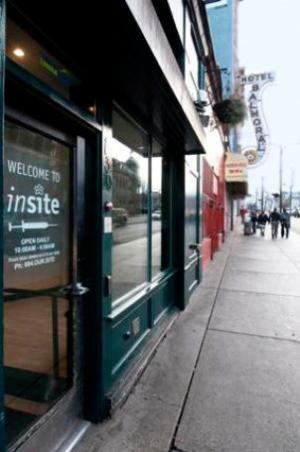 There have been no fatal overdoses in the 13-year history of InSite. Although such facilities, which also operate in various European countries and Australia, have been proven to reduce overdose deaths and drug use-related disease, improve local quality of life, and improve the lives of drug users, they remain controversial, with foes accusing them of "enabling" drug use. Thus, the report refers to them not as "safe injection sites," or even "supervised consumption sites," but as the anodyne "Community Health Engagement Locations" (CHELs). "If it's a strategy that saves lives then regardless of the political discomfort, I think it is something we have to move forward," said County Executive Dow Constantine, discussing the plan at a news conference last week. The safe sites will address the region's high levels of opioid and heroin use, or what the task force called "the region's growing and increasingly lethal heroin and opioid epidemic." As the task force noted, the number of fatal overdoses in the county has tripled in recent years, with the rate of death rising from roughly one a week (49) in 2009 to one very other day (156) in 2014. The current wave of opioid use appears centered on young people, with the number of people under 30 seeking treatment doubling between 2006 and 2014, and now, more young people are entering detox for heroin than for alcohol. Overdose deaths actually dropped last year to 132, thanks to Good Samaritan laws that shield people who aid overdose victims from prosecution and to the wider use of the opioid overdose reversal drug naloxone. But that's still 132 King County residents who needn't have died. Task force members said the CHELs would help reduce that number even further. "The heroin epidemic has had a profound effect not just on our region, but across our country as a whole," said Seattle Mayor Ed Murray. "It is critical that we not only move forward with meaningful solutions that support prevention and treatment, but that we remove the stigma surrounding addiction that often creates barriers to those seeking help. Not only are key local elected officials on board, so is King County Sheriff John Urquhart. He said the safe site plan was workable. "As long as there was strong, very strong, emphasis on education, services, and recovery, I would say that yes, the benefits outweigh the drawbacks," he said. "We will never make any headway in the war on drugs until we turn the war into a health issue." The region may willing to embrace this ground-breaking harm reduction measure, but it is going to require some sort of federal dispensation to get around the Controlled Substances Act and the DEA. How that is going to happen remains to be seen, but Seattle is ready. Increase public awareness of effects of opioid use, including overdose and opioid-use disorder. Promote safe storage and disposal of medications. Work with schools and health-care providers to improve the screening practices and better identify opioid use. Make buprenorphine more accessible for people who have opiate-use disorders. Develop treatment on demand for all types of substance-use disorders.Increase treatment capacity so that it’s accessible when and where someone is ready to receive help. Continue to distribute more naloxone kits and making training available to homeless service providers, emergency responders and law enforcement officers. Create a three-year pilot project that will include at least two locations where adults with substance-use disorders will have access to on-site services while safely consuming opioids or other substances under the supervision of trained healthcare providers. Will Seattle and King County be able to actual implement the CHELs? Will the federal government act as obstacle or facilitator? That remains to be seen, but harm reductionists, policymakers, and drug users in cities such as Portland, San Francisco, and New York will be watching closely. 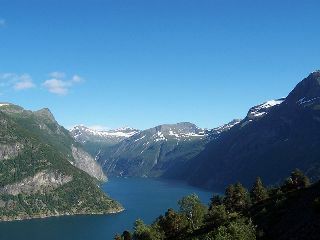 There have been murmurs about getting such sites up and running there, too. Could Different Drug Policies Have Saved Philip Seymour Hoffman? 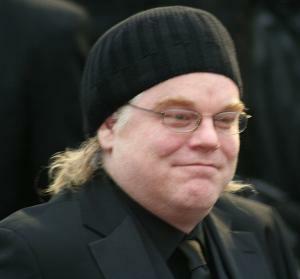 The tragic death of actor Philip Seymour Hoffman yesterday has prompted expressions of grief and of praise for his talent. It also, naturally, has prompted discussions of addiction, the impact of pain pill prescriptions on the addicted, even of pain pill restrictions causing more people to turn to heroin. While the latter raises the question about whether different drug policies could make things safer or less damaging or risky for heroin addicts, I haven't heard that question directly raised in the media. Although we don't know how Hoffman would have fared under a different system -- a system that had more options available, we do have information from places that do offer more options, and they are worth examining. One of those options is heroin maintenance programs (also known now as heroin assisted treatment, or HAT). The most famous such program operated in Liverpool, England, before the conservative Thatcher government, encouraged by the Reagan administration (so we heard), shut it down. But HAT programs current operate in Switzerland, The Netherlands, Germany, Denmark, and the Canadian cities of Vancouver and Montreal. Patients in such programs receive a supply of pharmaceutically-produced heroin from a clinic (for free, though one can infer similar benefits if the heroin were merely cheap). They regularly access health services as a part of their participation. Those who need to inject the drug to relieve their cravings receive instruction on how to do so without damaging their veins, and heroin is made available in other forms as well. 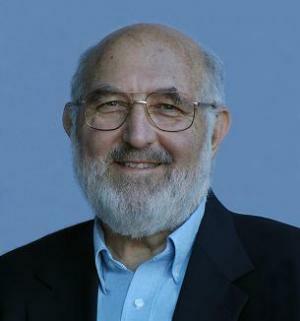 A 2009 paper by leading drug policy researcher Peter Reuter, written for The Abell Foundation in Baltimore, reviewed research done in three of those countries. According to Reuter, Switzerland found a decrease in criminal involvement from 70% of the patients down to 10% after 18 months; and an increase in employment, from 14% to 32%. The health safety results were particularly impressive, including decreased contact with the street drug scene, and with very few adverse events or safety issues. Many of those findings relate more to indigent addicts than they would to a famous actor. But the final point seems key, very few "adverse events" (e.g. overdoses and so forth) or safety issues, in any of the programs. Again, we don't know how Hoffman would have fared if he had entered a heroin maintenance program instead of buying it on the street. For that matter, we don't know if under legalization, broad or just for the addicted, whether Hoffman would have accessed such services in time, or chose to access them at all. But we know that many people do access these services in the countries that offer them, and that very few of the patients enrolled suffer overdose. More generally, by prohibiting heroin, even for people who are already addicted to it, we prevent a whole class of possible approaches from every being taken to try to help people -- a whole set of options that people with substance abuse problems might be able to use to manage their problems -- to literally save their lives. In the meanwhile, there are things to do that are legal even now, at least in a few states that have moved forward with them, with no federal laws standing in the way. These are Good Samaritan policies, that protect people from criminal liability when they seek help in an overdose situation; and use of the antidote medication for heroin overdoses, Naloxone. Meghan Ralston wrote about these in an oped yesterday. We can also improve the debate. It's not enough to talk about the challenges of addiction and the risk of relapse people can face their entire lives, important as that is. It's a good start that people are starting to recognize the unintended consequences of the pain pill crackdown. But that isn't enough either. It's also important to take the next logical step in the argument, and rethink prohibition. Other Oregon Schedule III drugs include ketamine, LSD, and anabolic steroids. Sponsored by Rep. Mitch Greenlick (D-Portland), the bill, House Bill 2077, would make violations a Class A misdemeanor with a maximum penalty of up to one year in prison, a $6,250 fine, or both. The same penalty would apply to both possession and distribution. The bill directs the state Board of Pharmacy to "adopt rules to classify nicotine as a Schedule III controlled substance." It would also require people involved in tobacco transactions keep records and to "forward the records to the State Police if directed to do so by the department." Failure to do so would also be a Class A misdemeanor. The bill had a first reading last week and has now been referred to the Judiciary Committee. The Wall Street Journal wants to know what you think. Should employers create policies for workers with medical marijuana prescriptions? How should the conflicts be balanced? Researchers are gaining ground in the combat against posttraumatic stress disorder (PTSD) in an unlikely way. Touted as “the party drug,” ecstasy, or MDMA, may just be the saving grace for hundreds of thousands of veterans suffering from PTSD. According to a study by the Rand Corporation, in 2008 one in five soldiers returning home from Afghanistan or Iraq showed symptoms of PTSD. All in all, nearly 300,000 returning soldiers were affected. Letting individuals with PTSD go untreated is detrimental to both the individual and to society as a whole, as it has been linked to higher incidences of depression, health issues, violence, marital problems, drug use, unemployment, homelessness and suicide among veterans. And although each active military service member is provided with $400,000 in military life insurance coverage, that provides little comfort to families of a PTSD-afflicted veterans. In the first controlled study published in the Journal of Psychopharmacology in July, 2010, ecstasy was used in combination with psychotherapy to treat patients suffering from PTSD. The subjects tested in the trial were patients with symptoms that were not improving with standard psychotherapy and antidepressants. According to Time Magazine, government-approved drugs such as Paxil and Zoloft typically administered to PTSD patients are only effective in about 20% of cases. Therapy has a higher success rate in alleviating symptoms; however, one-fourth of all patients drop out when asked to recall painful or stressful memories. The theory behind this very controversial treatment is that ecstasy releases a large amount of mood-regulating chemicals, serotonin and dopamine, in the brain. Patients who have taken ecstasy are more open in therapy sessions and able to talk about otherwise agonizing events. The results showed that after two months of therapy 83% of the patients that were given ecstasy showed tremendous signs of improvement and were no longer being classified as PTSD patients. This pilot study has opened a psychedelic door in the pharmaceutical world. There is hope yet for veterans suffering from posttraumatic stress disorder. A blue-ribbon committee in Norway has called for heroin prescription trials and expanded harm reduction measures, such as expanding safe injection sites. The Stoltenberg Committee presented its findings in a 49-page report (sorry, Norwegian only) issued last month. The committee was created last year by then Health Minister Bjarne Hakon Hanssen to review the situation of hard drug users in Norway. It was tasked in particular with evaluating whether the government should allow a trial heroin prescription program because the notion was so controversial in Norway. The committee did not address soft drug use. Committee head Thorvald Stoltenberg is a well-known and well-respected political figure in Norway, having served in the past as foreign minister. He is the father of the current prime minister. He is also the father of an adult daughter who is a former heroin addict. Current Health Minister Anna-Greta Strom-Erichsen agreed with the committee's call for more harm reduction and expanded treatment services, but wasn't ready to sign off on prescribed heroin just yet. "I agree with the committee that services for the most vulnerable drug addicts must be better," she said in a press release. "The committee wants greater degree of coordination of services. This is a task that is central to the work of collaborative reform, which is especially important for people with drug problems," she added. But heroin prescribing is "a difficult question" on which the government must move carefully, Strom-Erichsen said. "The government has not reached a conclusion on the question of heroin assisted treatment. Regardless of the conclusion to this question, there is a need for an intensified effort for people with drug problems, including medical treatment, "she said. The committee report will now form the basis for a broad dialog on its recommendations among government officials, local officials, drug users, relatives, and other interested parties. After that, the Health Ministry will send a proposal to parliament. While the committee report is quite moderate by international standards, it represents a major break from traditional Norwegian responses to hard drug use and an embrace of the harm reduction philosophy. With California facing a $19 billion budget deficit, Gov. Arnold Schwarzenegger (R) last month proposed saving the state $53 million by cutting off Medi-Cal funding for methadone maintenance for most heroin addicts. That would cause the loss of more than $60 million in matching federal funds. The move was fiercely resisted by methadone advocates -- including a former drug czar -- and public policy analysts, and the proposal was defeated last week in committee votes in the state Senate and Assembly. But California gives the governor the power to veto individual budget items, so advocates are not resting yet. Instead they are reaching out to the administration in hopes they can enlighten it and persuade the budget axe-wielding Schwarzenegger to aim elsewhere. Schwarzenegger isn't the first top-tier elected official to go after methadone maintenance. Back in 1999, then New York City Mayor Rudy Giuliani vowed to wean all of the city's methadone patients off it in three months. While Giuliani acted for ideological rather than budgetary reasons -- he said he wanted "drug freedom," not drug dependence -- the pugnacious mayor later changed his tune, admitting the idea was "maybe somewhat unrealistic." superheroes for harm reduction: ''Methadone Man'' public awareness campaign during last February's Olympics in Vancouver. You're needed everywhere, Methadone Man. Currently, nearly 150 methadone clinics provide the heroin substitute to some 35,000 addicts, 55% of whom are on Medi-Cal. Advocates and treatment providers said that clinics would be forced to close if the proposal passed, affecting not only the Medi-Cal patients, but also patients who paid out of their own pockets or through private insurance to be able to get maintenance methadone. "Methadone isn't a cure," said Roxanne Baker, president of the National Alliance of Methadone Advocates (NAMA), "but much like thyroid medication, as long as you keep taking it, it keeps your disease in check, and opiate addiction is a disease. When you mess with your brain with painkillers, it then doesn't produce the endorphins it should. It's not a matter of will power, it's a disease. You need something to replace those endorphins, whether its methadone, suboxone, or even prescription heroin, although I doubt we'll ever see that here." Enacting the proposed cuts would be "a disaster," said Baker. "There would be no methadone programs left. More than half the patients statewide are on drug MediCal, and they wouldn't even have a place to go. A lot of these people have their lives in order. This is somebody's brother, somebody's aunt, somebody's mom. Please don't take this from us." Last week, Clinton-era drug czar Gen. Barry McCaffrey flew into the state to hold a press conference denouncing the cut. 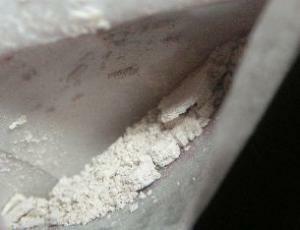 "Dumping tens of thousands of opiate addicts back on the street would be an immediate disaster to law enforcement, and to the families of people who have become stable, functioning adults" thanks to methadone, said McCaffrey, who has a consulting firm and serves on the board of directors of an organization that treats chemical dependency. Legislators were listening, not only to McCaffrey, but to the methadone treatment community. A Senate Budget Committee hearing last week proved tough going for Schwarzenegger's representatives. "This measure would eliminate the drug MediCal program with the exception of the perinatal and youth funding," said John Wardlaw from the state Department of Finance. "This is not an easy reduction in any way. We are at the point where we are making very difficult reductions." Committee Chair Denise Moreno Ducheny (D-San Diego) wasn't buying it. "How much federal funding are you giving up?" she asked. "Sixty-six million dollars," Wardlaw said. "We save $53 million and lose $66 million?" asked Ducheny. Ducheny just stared at him for a few uncomfortable moments before moving on to the next witness. "There would be cost shifts in the area of corrections and child welfare services," Greg Tallivant of the legislative analysts' office told the solons. "The day the clinic closes, those people have to do something. If they can't make it to the next methadone clinic, heroin would be the next choice. You would see people arrested. You would see prison costs and child welfare costs go up." Assemblyman Mark Leno (D-San Francisco) was visibly irritated by the proposal. "There is a complete lack of interest in any cost-benefit analysis here," he said. "This is reckless and cavalier. It doesn't really make much sense. We have 171,000 people addicted to drugs. This will increase our crime rate; it's a recipe for disaster on our streets. Does the governor have no interest in this or does he not believe that this will impact the safety of our children and communities? We've already zero-funded the base Proposition 36 program. The outcome of this is to have drug offenders with no jail and no treatment." "This is really a short-sighted proposal that shifts costs from funding treatment to funding law enforcement, jails, and prisons," said Jason Kletter, a member of the Bay Area Addiction Research Team (BAART), which is in turn a member of California Opioid Maintenance Providers (COMP), a nonprofit organization representing opioid maintenance treatment centers. "It is a public safety issue, to say nothing of the humanitarian crisis it would provoke," he said. "We think if this happened many clinics would close, and the folks who lose access to care would likely relapse and cost the system much, much more in a short time," said Kletter. "We see relapse rates of 80% within a year when clinics close, so it wouldn't even be like we'd be kicking the can three or four years down the road." "This would have the biggest impact on programs that have a high percentage of Medi-Cal beneficiaries in treatment and would be unable to stay open because more than half their patients, and thus, their revenues, are gone," said Kletter. "You would have a fundamental dismantling of the system." The cost incurred would be staggering, Kletter said. "If 80% relapse in same year, we know that the state will incur $700 million to $1 billion in new costs in the criminal justice system," he said, citing a study from the 1990s that found each dollar invested in treatment produced a seven-dollar return. "The state wants to save $53 million by eliminating drug Medi-Cal and will also turn away more than $60 million in matching funds. That's $115 total program cost. A seven-to-one return on that is close to a billion dollars. "With 80% relapse, we could end up seeing $700 million in new criminal justice and prison costs." "It's a terrible proposal," said Glenn Backes, a Sacramento-based public policy analyst who works with the Drug Policy Alliance at the Capitol. "California Democrats in both houses have said so. The Senate Republicans didn't do a cost-benefit analysis; they just said we can't afford to give out subsidized health care." But in reality, the situation is even worse, said Backes. "They've killed Proposition 36 funding, drug courts are being slashed. According to the governor's finance director, that's 171,000 patients. The cost-benefit for this is worse than nil. If only one out of a thousand relapses and goes to prison, you've already lost money because prison is so much more expensive than treatment. If only one out of a thousand gets Hep C, the taxpayer loses. If only one out of a thousand gets HIV, the taxpayer loses." It's easy to lose the human side in all the numbers, Backes said. "If only one out of a thousand ODs and dies, that's 170 California families who have lost a loved one." And the battle continues. "While both the Senate and the Assembly budget committees have rejected the governor's proposal, in California, the governor has a line item veto," said Kletter. "We are continuing to try to work with the administration to explain the impact of this kind of proposal and get them to understand it is a public safety and cost-shifting issue. We haven't had any direct meeting with them yet, but that's next on our agenda. We want to educate them about them dire consequences of this sort of action." Even if advocates many to salvage the drug Medi-Cal program, they would be well-advised to be searching for alternative funding sources, and how better than to take money from the drug war? Tough times call for creative solutions, and Backes has one: Use federal Byrne Justice Assistance Grants to fund treatment instead of drug task forces. Every dollar funding more drug war arrests costs $10 additional in spending for courts and prisons, he said. "Historically, Byrne grant funds have been given to task forces to increase arrests," Backes noted. "The Drug Policy Alliance position is that Byrne funds would be better spent on almost anything other than doing low-level drug sweeps. We would rather see that money go into treatment for people in the system."